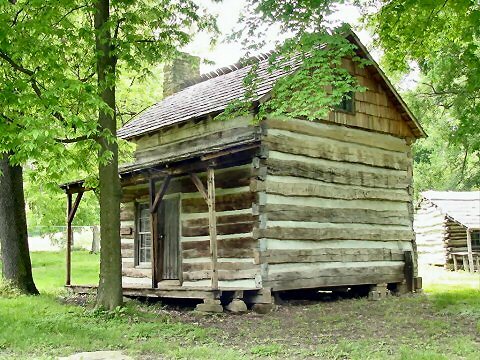 The replica of the Gentry Mansion is a one-and-a-half story cabin with a large front porch. 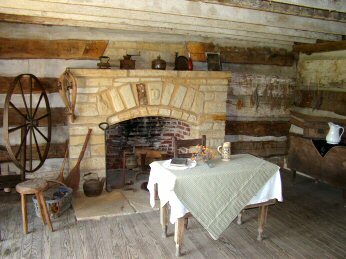 It has a stone fireplace with a G carved in the stone above the hearth. 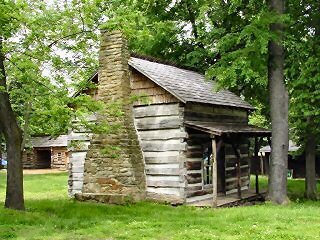 This cabin was built differently because Mr. Gentry was very well off. 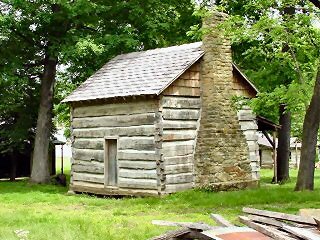 James Gentry, a neighbor of the Lincolns, was a rich land owner who employed Abe on his farm. 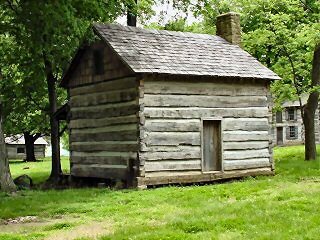 In 1828, James Gentry hired Lincoln to go with his son, Allen, on a flatboat to New Orleans. The landing from which young Lincoln and Gentry departed at Rockport, is preserved as a memorial at the foot of Clark Street. 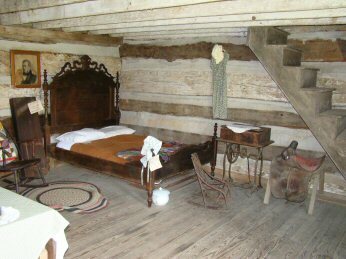 This log house is furnished with articles from the Gentry family, many of which are over 150 years old.